The Dayton Philharmonic Orchestra, under the leadership of Artistic Director and Conductor Neal Gittleman, is honored to be a part of DCDC’s 50th anniversary celebration. 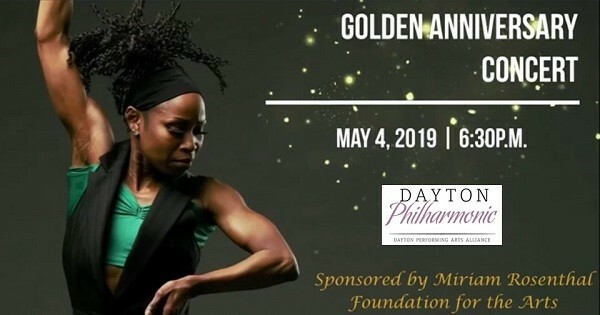 Join DCDC and the DPO for a night of celebration of dance and community in the performing arts in Dayton! Founded in 1968 by the late Jeraldyne Blunden, Dayton Contemporary Dance Company (DCDC) is the oldest modern dance company in Ohio. DCDC serves as a cultural ambassador to Dayton, the state of Ohio, the Midwest, and the nation. The company holds the world’s largest archive of classic African American dance works and one of the largest of any kind among contemporary dance companies worldwide. DCDC was a co-recipient of the 2016 Bessie Award (The New York Dance and Performance Awards) for Outstanding Revival for performing Donald McKayle’s 1959 masterwork “Rainbow Round My Shoulder.” Ray Mercer’s 2017 commissioned work, “This I Know For Sure…,” has been selected as one the best examples of new American contemporary dance being shared with international presenters in Pitchbook: Volume IV, a publication by American Dance Abroad. Find more events like "DCDC Golden Anniversary Gala Concert"